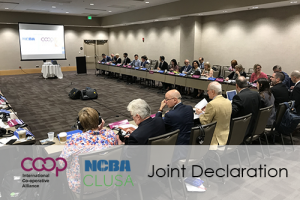 In June, as co-ops and credit unions around the world prepared to celebrate International Co-ops Day, the boards of directors of the International Co-operative Alliance (ICA) and the National Cooperative Business Association CLUSA (NCBA CLUSA) gathered for a historic meeting in Birmingham, Alabama. The event was marked by shared experiences recognizing the significant contributions made by co-operatives in the fight for justice and equality during the U.S. Civil Rights movement, including presentations by the Federation of Southern Co-operatives. Dialogues served as a reminder of the historic role that co-ops have played in supporting positive change, and inspiration for continuing efforts to build a more inclusive economy and sustainable world for everyone. At the conclusion of the joint meeting of the boards of directors, co-chaired by ICA President Ariel Guarco and NCBA CLUSA First Vice Chair Erbin Crowell, who also serves as executive director of the Neighboring Food Co-op Association (NFCA), it was agreed that a joint declaration would be released as an expression of the commitment of the two organizations to continued collaboration. The statement recognized the opportunity presented by the International Day of Co-operatives for co-ops around the world to work together to communicate their difference and advance the United Nations Sustainable Development Goals (SDGs), which seek to end poverty, protect the planet and ensure all people enjoy peace and prosperity. Celebrated on July 7th this year, International Co-ops Day focused on the slogan “Sustainable societies through co-operation,” with the goal of demonstrating that co-ops have sustainabilitymat their core, with concern for community as the 7th of the principles of the Co-operative Identity. These guiding principles provide a roadmap that empowers individuals and communities to continue on the path of economic and social change. Here in our region, the NFCA used the opportunity presented by International Co-ops Day to provide member food co-ops with resources to spread the word. For example, Brattleboro Food Co-op shared its efforts to engage the wider community though outreach, its Food For All program, which offers additional support to people who receive assistance from the government, and a discount program for members doing volunteer work in the community. Middlebury Natural Foods Co-op‘s recent expansion project not only enables the co-op to provide more quality jobs and serve more local producers and consumers, but includes many building improvements resulting in significant increases in our energy efficiency. And Springfield Food Co-op held a special open house for the community. 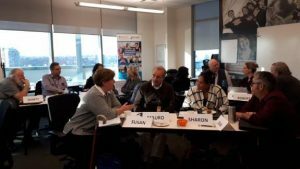 With over 1.2 billion members of co-ops and credit unions internationally and 110 million members in the United States alone, the co-operative movement empowers people to make a difference every day. The Neighboring Food Co-op Association (NFCA) is proud to sponsor a special track of workshops and presentations on “Co-operatives in the Food System” at the 44th Annual NOFA Summer Conference focused on “Honoring Our Roots, Tending Our Future,” August 10-12,2018 at Hampshire College in Amherst, MA. And, Members of NFCA Co-ops receive a 20% DISCOUNT with the code “NFCA20”! This year’s conference program is woven with workshops and activities that will pay homage to the agricultural wisdom that has been instructive to us through the ages. We will celebrate the wisdom of the rich indigenous agricultural past that has provided the basis of the organic movement and the ecologically based practices we have used to be successful. 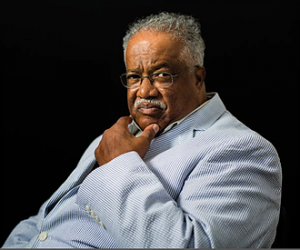 Our hearts go out to the family, friends and colleagues of Ralph Paige, former Executive Director of the Federation of Southern Cooperatives/and Assistance Fund, who died on June 28th, 2018, at age 74. Mr. Paige began working for the Federation in 1969 and served the organization for 46 years, and as Executive Director for 30 years, from 1985 to 2015. A native of LaGrange, Georgia, Mr. Paige was the seventh of twelve children. Ralph became a co-operative organizer with the Federation in west Georgia in 1969. He assisted the Harris County Farmers Co-op to grow and expand its scope and services to become the West Georgia Farmers Co-op. He later headed the Federation’s Business Development Office in LaGrange, Georgia giving advice and loan packaging services to cooperatives and small businesses in the area. Alabama, including an agroforestry component and forestry demonstrations. Foundation, Cooperative Business International, the President’s (George Bush) Twenty-first Century Agriculture Commission, Rural Policy Advisory Committee to President Barack Obama and many more. He received numerous awards including induction into the Co-op Hall of Fame in 2004, Martin Luther King Humanitarian Award from SCLC, George Washington Carver Hall of Fame at Tuskegee, Congressional Black Caucus Leadership Award, NCBA Co-op Month Leadership Award and many others. Ralph leaves to cherish his memory a wife of 51 years, Bernice, two children, Bernard and Kenyatta, five grandchildren and many relatives and friends. For more information on Ralph Paige’s legacy and the work of the Federation of Southern Co-operatives, visit https://www.give2federation.org/new-updates-news. Want local cheese made with organic, raw milk, produced with integrity, and a real cheddar bite? Try Neighborly Farms Organic Sharp Cheddar. Established as an operating dairy farm in the 1920’s, Rob and Linda Dimmick continue the tradition of family farming with cropland and grazing fields to support the dairy, home to 70 Holsteins. 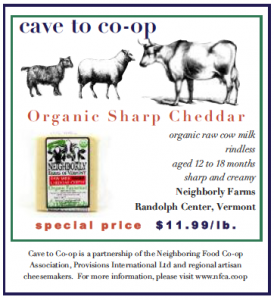 Sharp Cheddar is just one of the Neighborly Farms raw milk cheeses. The Dimmicks produce feta, colby, and Monterey Jack too. All made from organic milk from their healthy and happy cows. The Dimmicks pride themselves in operating their organic farm in harmony with the land and the animals; no antibiotics, no hormones, and no commercial fertilizers. And produce great tasting cheese too! The Sharp Cheddar is aged 12-18 months, has a creamy consistency and is great on its own as well as in your favorite recipe using a hard cheese. Your local food co-op works hard to support our local farmers. And by working together, food co-ops across our region are making regionally grown produce available to our shoppers year ‘round. Over the last two years, food co-op shoppers have purchased over 11 tons of Neighboring Food Co-op Association (NFCA) Blueberries, Organic Broccoli, Organic Edamame, Organic Green Beans, and non-GMO Sweet Corn — all grown and packaged right here in the Northeast, and available only at your food co-op! Keep cool with co-op smoothies! Our frozen blueberries are great for combining when making cool smoothies. 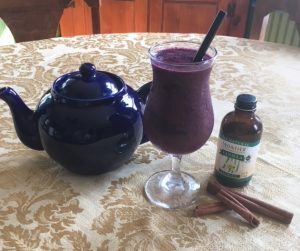 Try this Blueberry Smoothie recipe combo using co-operatively sourced ingredients! The vision of the Neighboring Food Co-op Association (NFCA) is of a thriving co-operative economy, rooted in a healthy, just and sustainable food system and a vibrant community of co-operative enterprise. By choosing products from co-operative enterprises, you are helping people to help themselves, build stronger, more resilient communities, and strengthen local economies. Eat healthy and contribute to community building! Look for our Northeast Grown Frozen Fruits and Vegetables in the freezer section. They’re easy to find because they’re packed in a clear package so you can see what’s inside. For more Farm to Freezer information and recipes — including warm weather recipes great for summer meals using frozen corn, broccoli, or blueberries — visit: www.nfca.coop/farmtofreezer. On June 28, the U.S. Senate voted 86-11 in favor of its bipartisan Farm Bill, also known as the Agriculture Improvement Act of 2018. Moving forward, it remains important for food co-ops and their members to be engaged in the process, and to partner with our regions family farmers to ensure that our voices are heard.